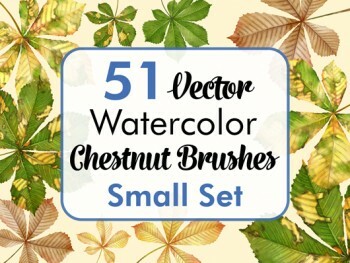 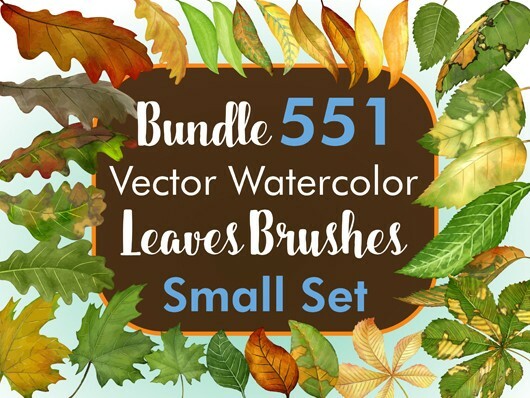 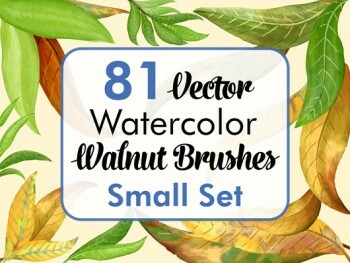 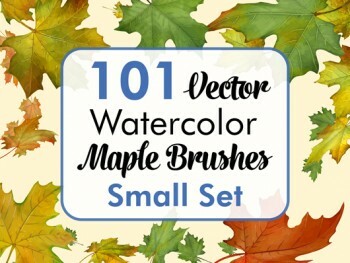 This small set Bundle of 551 Watercolor Maple Brushes contains Summer and Autumn leafes. 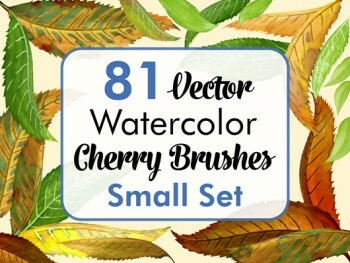 You will find the Vector Watercolor Brushes as Scatter and Art Brushes for Adobe Illustrator. 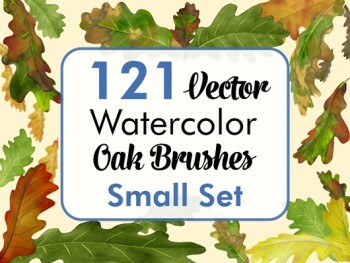 It contains 7 different tree species: Birch, cherry, chestnut, oak, maple, walnut and a allround leaf. 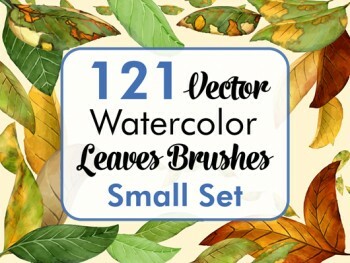 Small Set Bundle of 551 Watercolor Leaves Brushes for Adobe Illustrator.